Everyone is working together to raise funds for the Annual Greater Miami Jewish Federation/UJA Campaign, which supports a network of vital programs and services to help people in Miami, in Israel and in more than 70 other countries worldwide. You can play an important role in this effort with a Personal Fundraising Page. It’s easy: Simply create a profile – or log in to an existing one – on JewishMiami.org. Set a fundraising goal for yourself, and then email your friends and ask them to help you achieve your goal. * After registering, you will receive a confirmation email with a link for your Fundraising Dashboard. 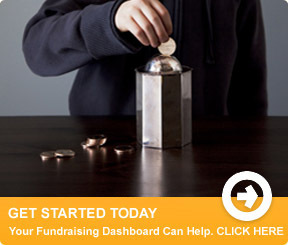 * On your Fundraising Dashboard, click Create a Page. * Enter a fundraising goal, or the amount you hope to raise. On your Dashboard Menu, click View Your Page to see what your page looks like. This is the page that your friends will see. You can change your pictures and page text anytime and as often as you’d like. Click Edit Your Page to make changes. * On your Dashboard Menu, choose Invite Your Friends and enter up to five friends at a time. * After you create your page, you can embed your Thermometer code into your Facebook or MySpace page, blog or website of choice to encourage friends and family to support you. Every gift counts, no matter the amount.